Many parents choose to homeschool their kids instead of sending them to public or private school. It’s a great way to ensure they get the personal attention they need to learn and grow academically. The way you set up your classroom will affect the way your child learns. Everything should be organized and easily accessible in order to keep things running smoothly. Have a spare bedroom? Turn it into a classroom. You’ll have plenty of room and privacy to hold classes without interruptions. Don’t have anything in the room that is not part of your lesson plan to help eliminate distractions. You can also decorate it like a regular classroom with a chalkboard, maps, and workstations. Convert the dining room or kitchen into a classroom. When you don’t have an extra room to spare, set up shop in the dining room or kitchen. You already have the table for a work area, and you can use shelves or stackable drawers to keep all of your school supplies together in place. Turn your child’s bedroom into a classroom. If you’re really limited for space, use a corner of your child’s bedroom as the base for your classroom. This is where you’ll keep all of your school supplies, but you can work from any room in the home, depending on what’s going on that day. Use a cart to help you transfer books and other supplies from one room to another. Regardless of where you set up your homeschool space, it’s important to have good lighting, comfortable chairs, and a clutter-free work zone. Once you’ve set up your space, give it a trial run to see how it feels. 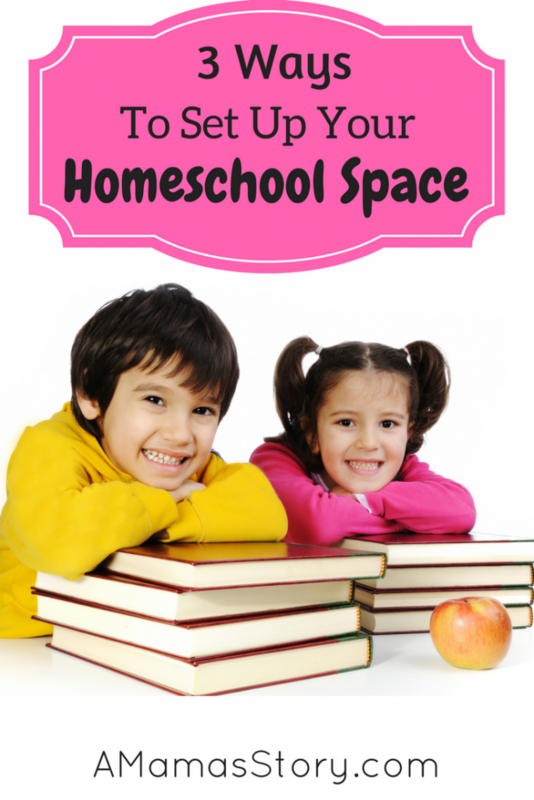 You may need to move some things around to find what works best for your homeschool. « Homeschooling. Where Do I Begin? It takes a few months of planning for sure. 🙂 I did a much better job this year of preparing beforehand, and it’s definitely paying off.